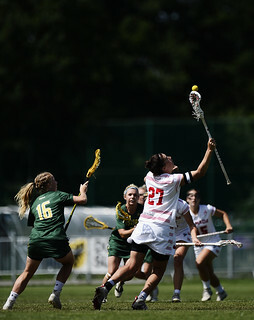 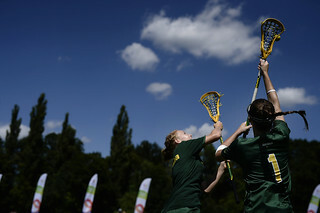 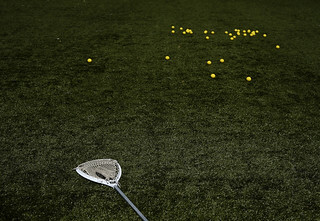 Women’s Field Rules: Two teams of ten players each play women’s field lacrosse. 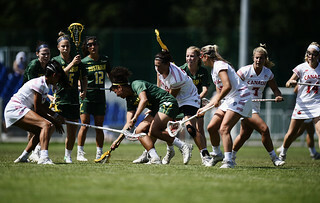 The two teams attempt to score by causing the ball to enter the goal of its opponent, while preventing the other team from securing the ball and scoring. 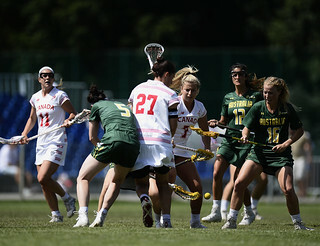 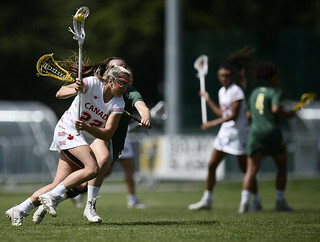 The ball is kept in play by being carried, thrown, or batted with the crosse, rolled or kicked in any direction, subject to the restrictions laid down in the FIL Rules. 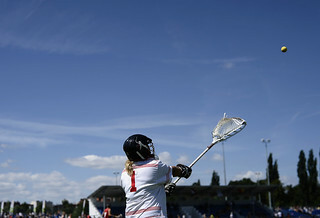 The hand may not touch the ball, except by a goalkeeper who is within his goal crease.